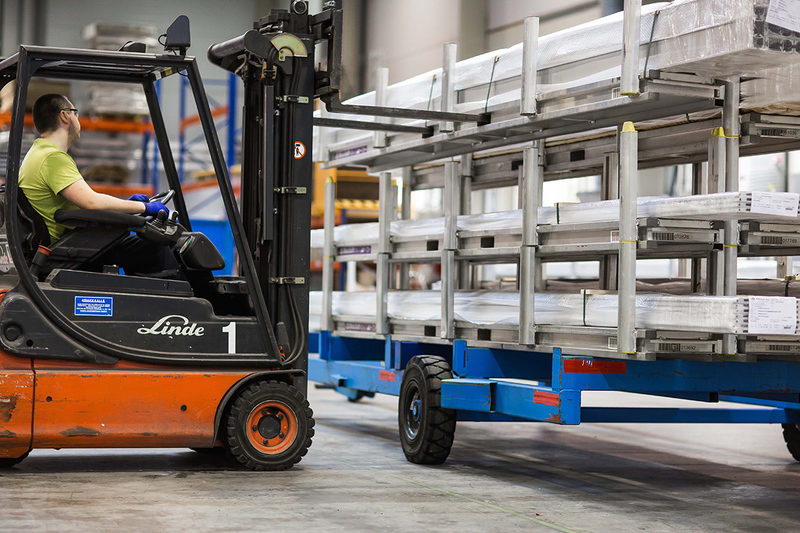 Based on our customers’ varying needs, we have developed solutions for the handling and transportation of aluminium profiles. AluBasket® is a weatherproof and environmentally friendly aluminium basket solution for transporting, handling and storing long aluminium profiles. Against a payment, you will receive baskets for transporting and storing the aluminium profiles. The baskets are stackable and easy to handle with a forklift. They make handling the profiles easier and protect them from damage. Because the baskets are reusable, the amount of packaging waste is also reduced. If you want to use the AluBasket® service, tell us about it when you are making your order. We will charge a delivery fee and a usage payment. The profiles you ordered will be delivered in baskets. You can then store and handle them based on your own needs. Interested? Contact our sales department.